New research report “2012 European Connector Market Handbook” developed by Bishop & Associates has been recently published by Market Publishers Ltd. According to the study, the European connector market is expected to grow at a CARG of more than 4%, to be estimated at nearly USD 12,678 million by end-2015. The European connector market has undergone certain changes during the past several years and now is witnessing a stable growth rate. The economy’s progressive recovery from the global economic slump, as well as the strengthening of euro stimulates the fast advancement of the market. The European connector market is expected to grow at a CARG of more than 4%, to be estimated at nearly USD 12,678 million by end-2015. Computer and peripherals sectors of the market will possibly decline while spectrum and automotive sectors will make considerable progress. 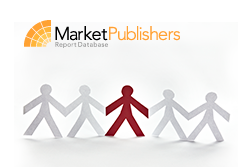 New research report “2012 European Connector Market Handbook” developed by Bishop & Associates has been recently published by Market Publishers Ltd. The report thoroughly analyzes all aspects of the European connector market during 2006-2011 and offers the future forecasts for the market up to 2016, including five-year CAGRs. The research study provides connector statistics by end-use equipment sector and product category as well as by 19 countries. The relevant information on the market structure, volume and growth is also available. What Happened in 2011 by Region? More new market research reports by the publisher can be found at Bishop & Associates page.